That long title is the official name for the women's race at the Tour of California. Just as Amgen supports the Breakaway from Cancer walk at stages of the tour for those affected by cancer and has attached their name in fighting cancer with the men's race, the company also develops pharmaceuticals for heart disease. Amgen works to alleviate the impact of the leading causes of death to both men and women. And so sponsoring a women's race in the name of fighting heart disease and improving health in the general population makes perfect sense. SRAM is also a title sponsor of the women's race, which is not just kind but good business. 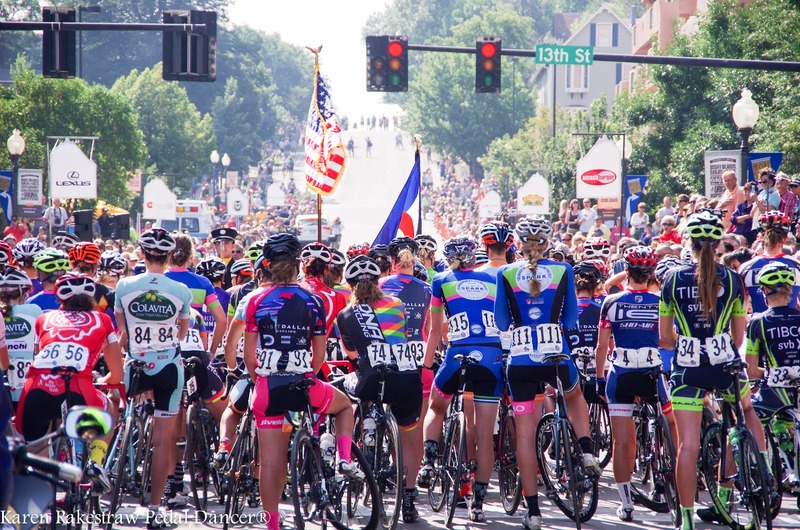 The numbers of women in cycling and amateur racing is growing. The likelihood of a women walking into a bike shop to buy a bike is high, SRAM wants the consumer to know their name. Sponsorship is a balance of doing good in the community and wanting to get your product in front of the community. Through the involvement of both Amgen and SRAM, perhaps more young girls will be exposed riding a bike and a healthy lifestyle. 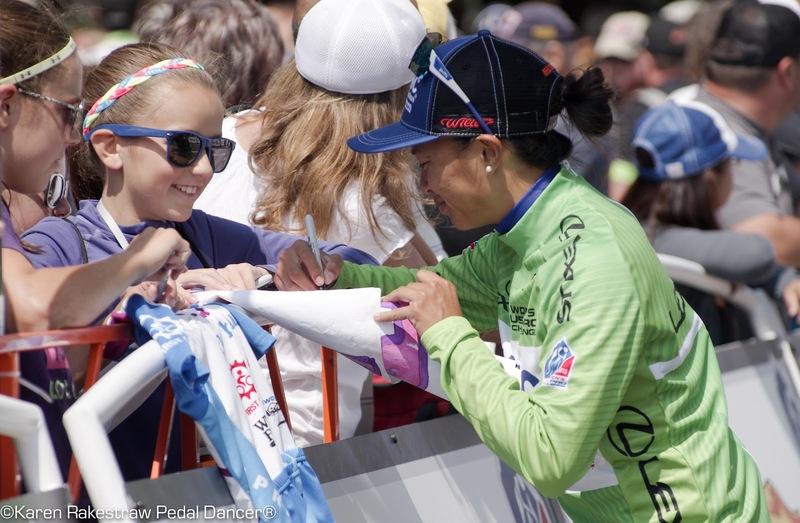 The highest level of women athletes in the sport of professional cycling are gathering today in Lake Tahoe to begin their four day bike race. It's a big deal and a large number of fans are expected. The women will race 197.8-miles during four-stages in South Lake Tahoe, Folsom (team time trial), Santa Rosa and Sacramento. 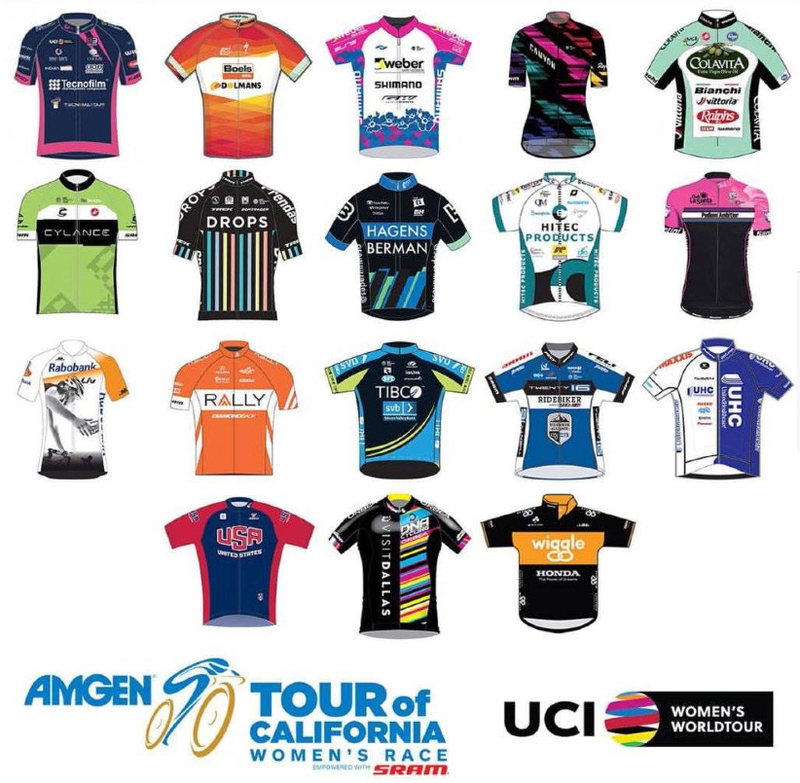 For a 1 page printable startlist with numbers, please go to TourChaser.com: Women's Race Details ATOC. Women's team jersey 2016 Amgen Tour of Califorrnia. Amgen’s new Breakaway from Heart Disease initiative encourages Americans to take action to make heart health a priority. The campaign encourages people to use road bikes and stationary bikes to get active and heart healthy. At the race, female athletes will wear Breakaway from Heart Disease “I Heart” race numbers recognizing someone they love. For more information about the campaign and how to get involved, visit breakawayfromheartdisease.com. Follow the Amgen Tour of California Men's Race and the Amgen Breakaway from Heart Disease Women's Race live on Microsoft Tour Tracker, the app that gives you in depth access and analysis of America's Greatest Race via the web or your mobile device. Whether you are out on the road, waiting at the finish line, or watching at home, you can keep track of the race Download the app. You can watch Microsoft TourTracker on the web.